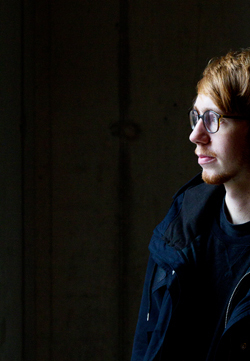 Egokind is a brand new signing on Traum we are excited about. The Berlin based (and born) artist can play Bach flawless on acoustic guitar, has played in punk bands for years and has built up a big community of fans through his own doing. When we talked with him about Berlin growing more friendly towards melodic music, he shows he is not interested in club politics, all he is interested in is: "creating a unique sound that is not exchangeable". The former guitar player, singer and composer, who is currently studying sound design in Berlin, is a true studio nerd who relies much more on his song composing and production tracks than collecting numerous hardware in a comfort zone. Egokind has been recording seriously for for the last 1 1/2 years but has made the decisions to release music seriously more eclectic and complex with our label Traum. As he says himself, he has found his sound! The 6-track EP contains his newest goodies and opens up with the folk powered hymn "Diamond Days". The intro of the track is a very electronic one, gated sounds, flanger like effects create the ground for an upcoming strong goth baseline, wailing sounds, cut up samples and a superb vocal by Egokind himself. In a miraculous way Egokind joggles elements with others and develops his own language like very few have done in the electronic scene. Mesmerizingly, soulful and courageous throughout the track, Egokind pulls the strings in an "übermensch" way. Listen to skilled fiddlings with sounds and the harsh & brilliant cut up passages and you cannot but rejoice. In our 15 years of existence we have not been able to release another track in this category! If you think you have heard the creme de la creme with "Diamond Days" listen to repetitious rocker "Mijal". This edgy manifest is determined to throw you off your seats and put you in the vertical position. "Mijal" smalls contrasting elements and dynamic on the table as if it was the last dinner. We greet Aphex Twin with this track. "Fade Me" is the blueprint for "Diamond Days" we think, although that is factually not 100% correct. It has a lot of character and hints at the formula which was developed with "Diamond Days", using guitars etc... so we thought (although on Tour de Traum VI) we had to include the track here. It is a great tune and we enjoy it every time we play it at Traum parties! No blood spilled with this track. "Blood" starts with a heavenly piano, divine synths and is indeed a much more playful and airy track, including childlike melodies but at times happy/sad. The track sounds like the first day in spring... ideas of rebirth, rejuvenation, renewal and resurrection being put forward in a fine artistic language. 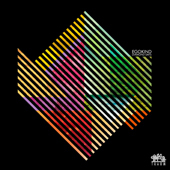 "Nuba" was recorded by Egokind and Parra For Cuva and picks up the happiness of "Blood" but expands on the melodic side. It depicts less of a momentum but gives face to an elaborate choreography of a providential hemisphere. "Sinus" was produced by Egokind & Ozean and the ambition was to write a piece of electronica somewhat "Windowlickerish" in movement but keeping towards a stronger orchestral & melodic side . Enjoy!